This Front Housing replacement for LG G5 is brand new and original. This Front Housing replacement is compatible with LG G5 H840(LATAM),LG G5 H850 (Europe),LG G5 H820(AT&T),LG G5 LS992(Sprint) and LG G5 VS987(Verizon). This item is black, please choose the right color before ordering. The installation of any new parts should be done by a qualified person. 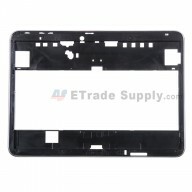 Etradesupply is not responsible for any damage caused during installation.